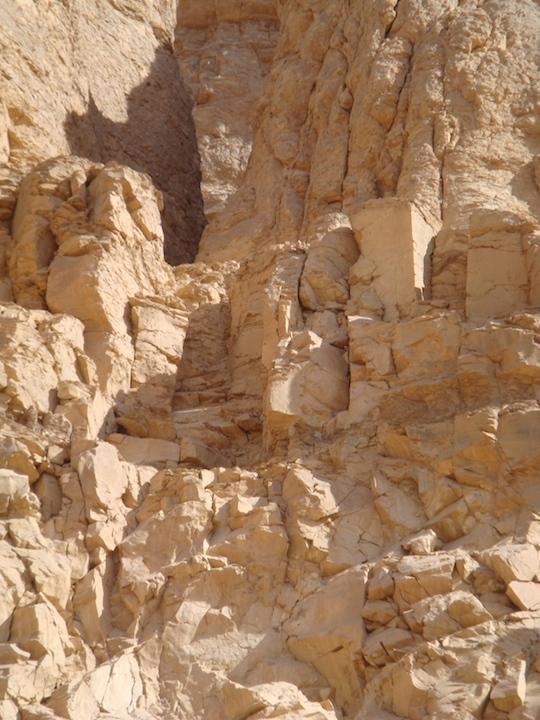 A great days adventure exploring Hatshepsut’s Cliff Tomb. 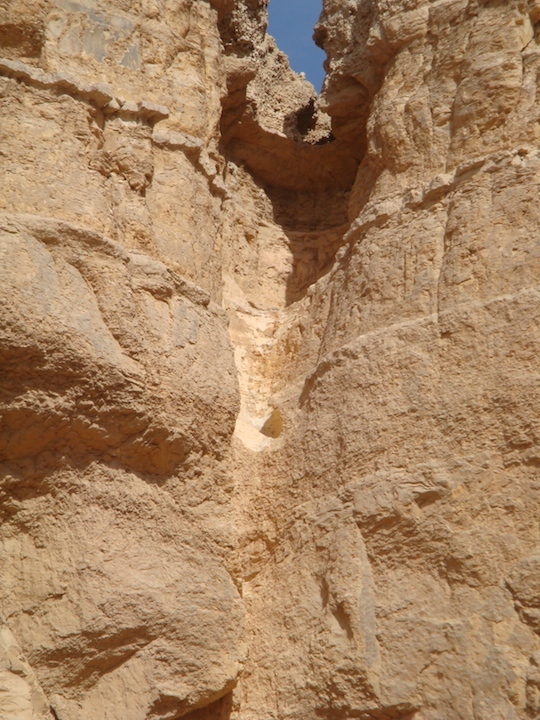 A friend Richard gave me a rout plan of how he and his son got there. 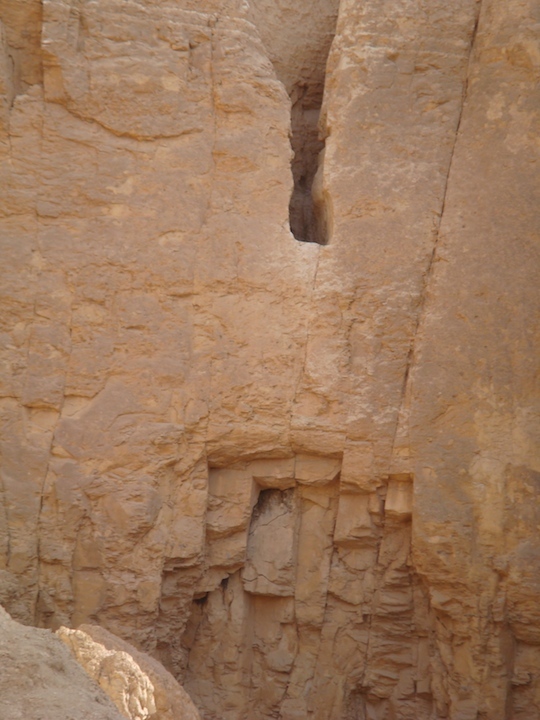 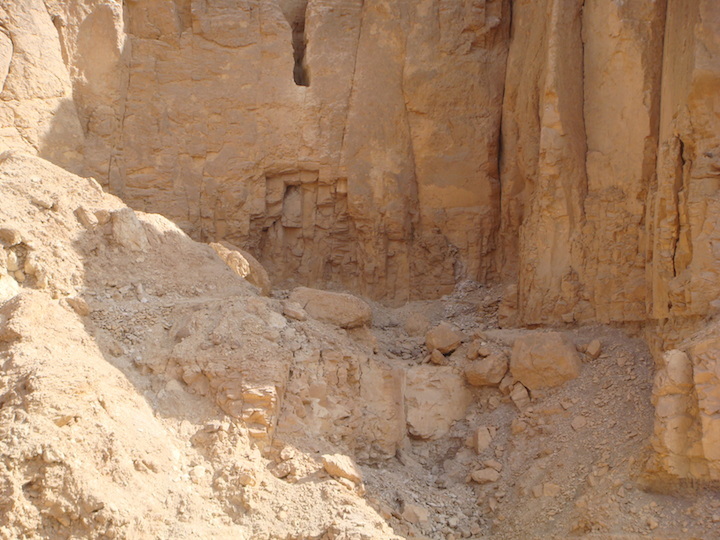 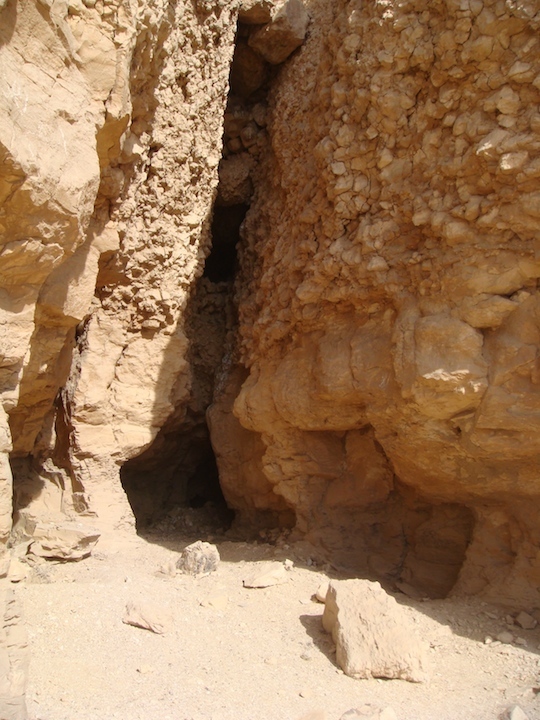 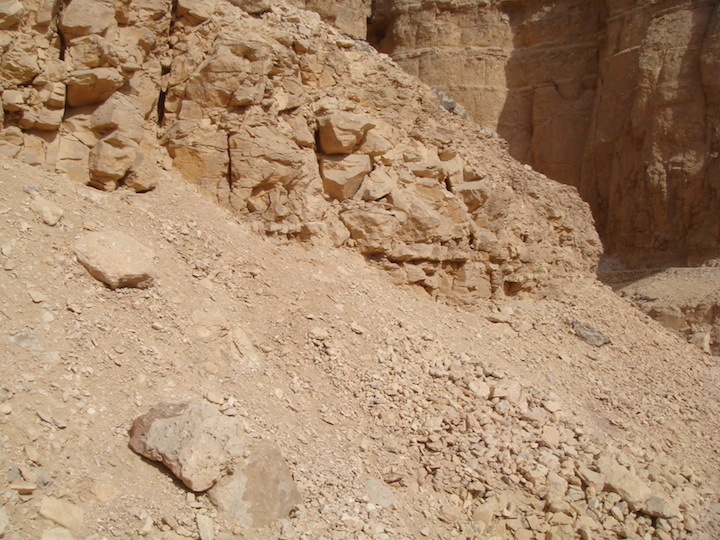 The rout took me through a beautiful wadi that lead me to the tomb at its end. 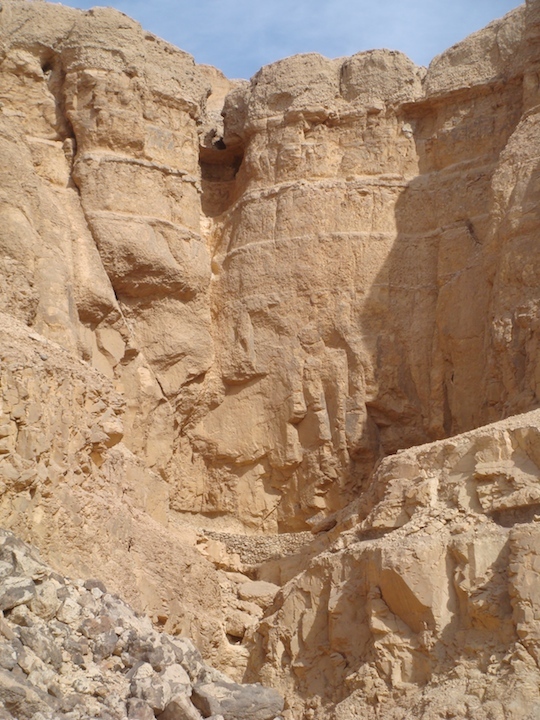 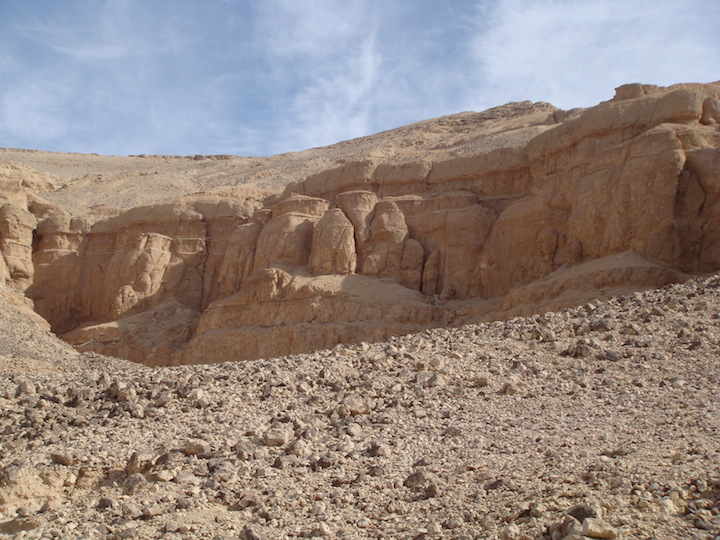 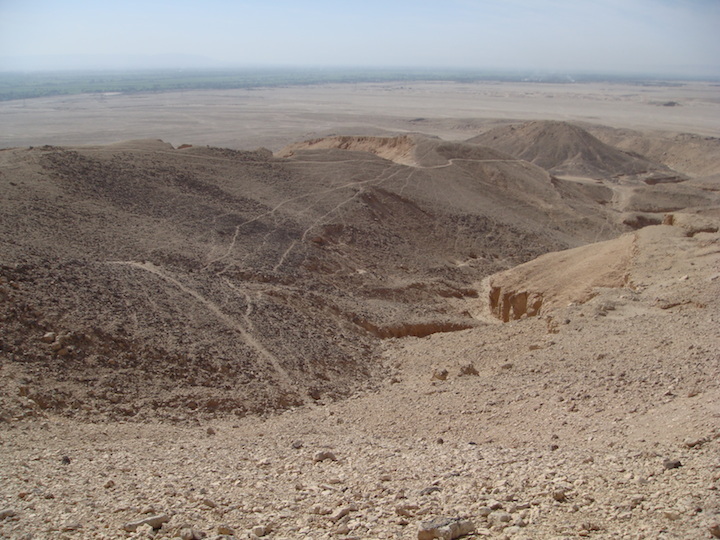 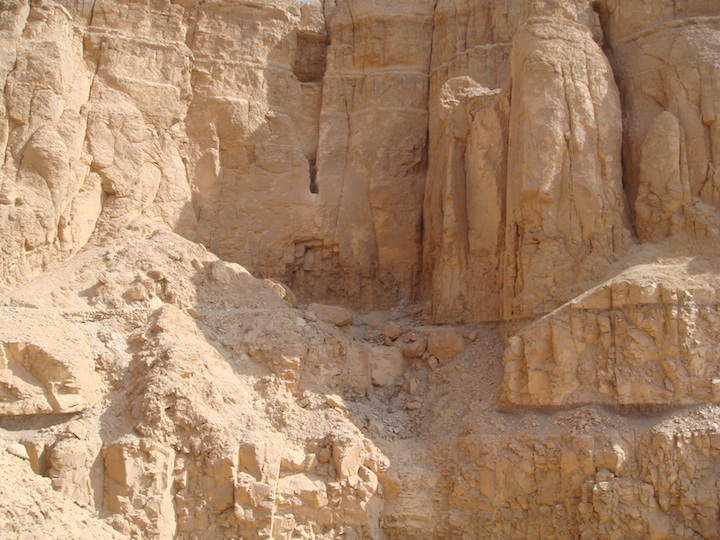 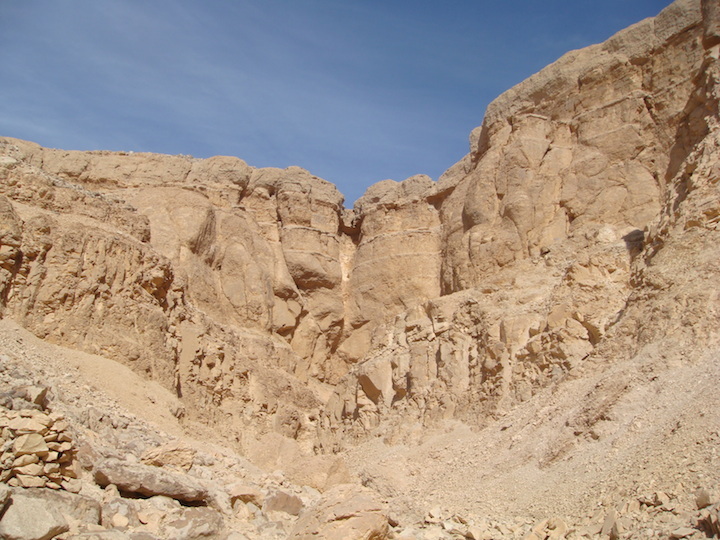 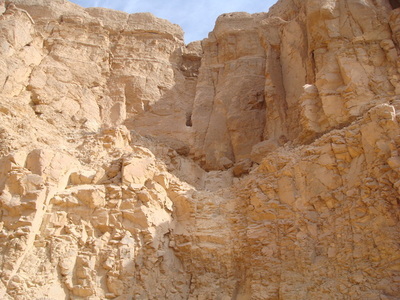 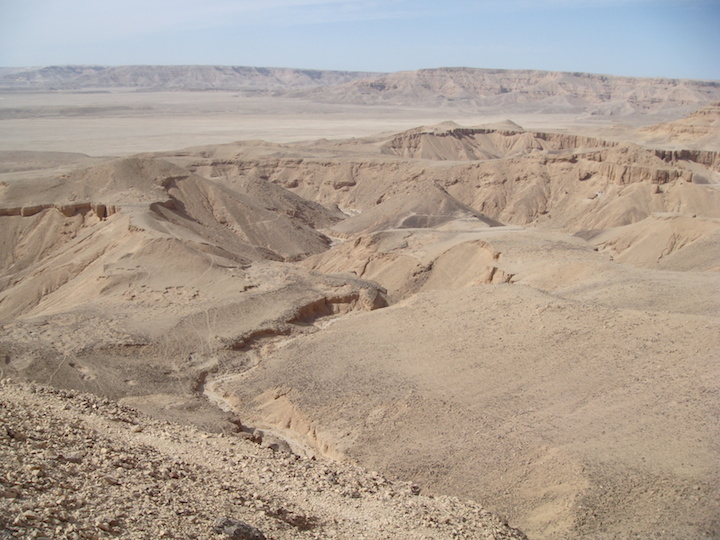 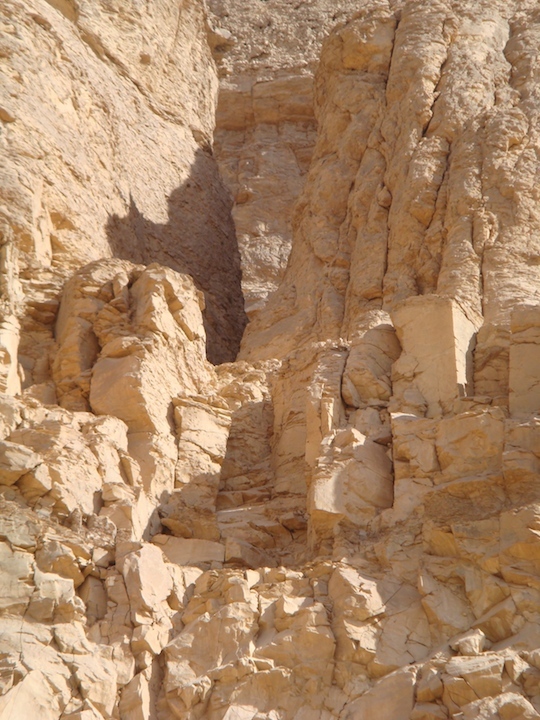 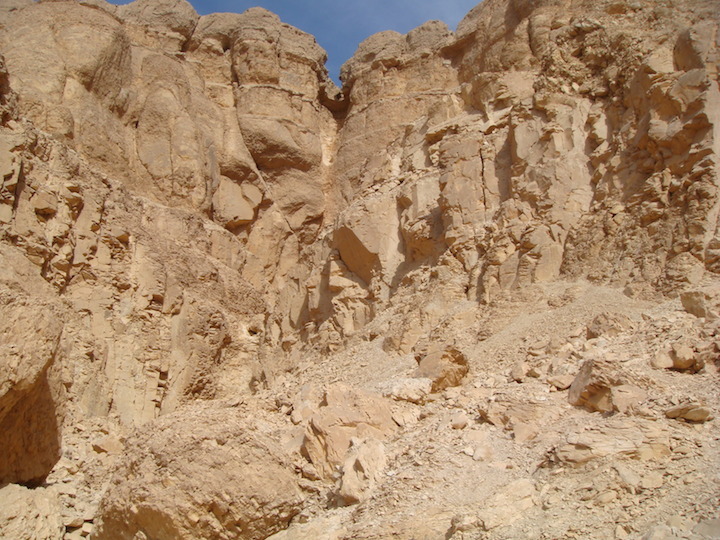 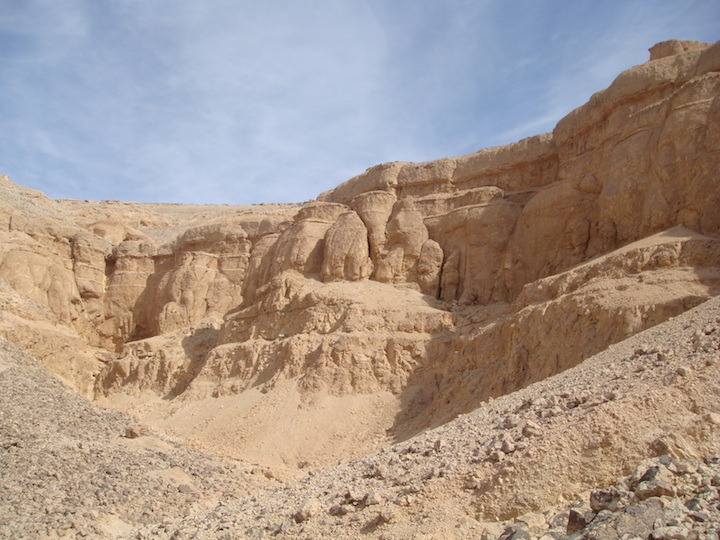 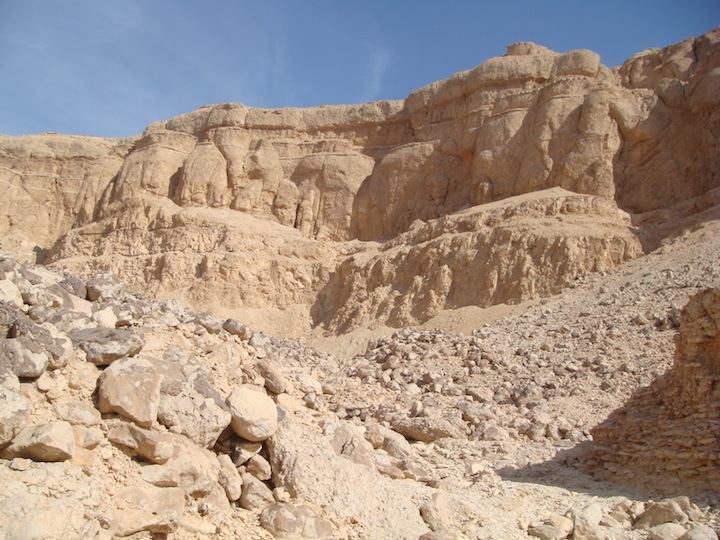 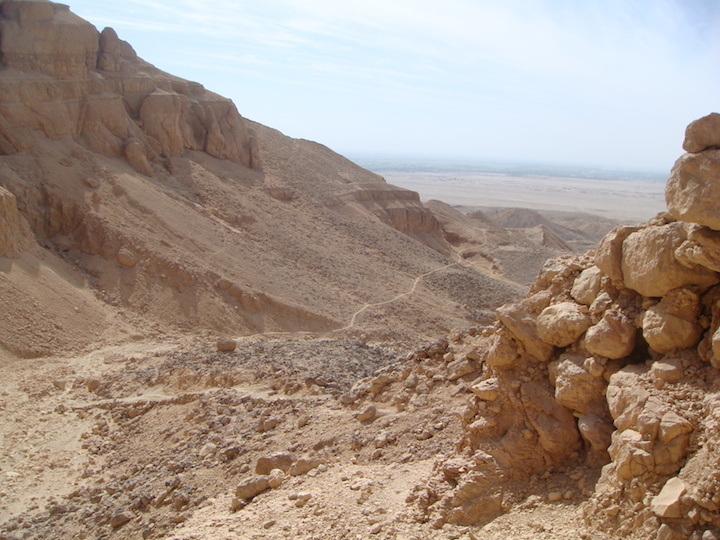 It entailed less mountain climbing, as the wadi was a gentle climb although the track at the end leading to Hatshepsut tomb was a little scary. 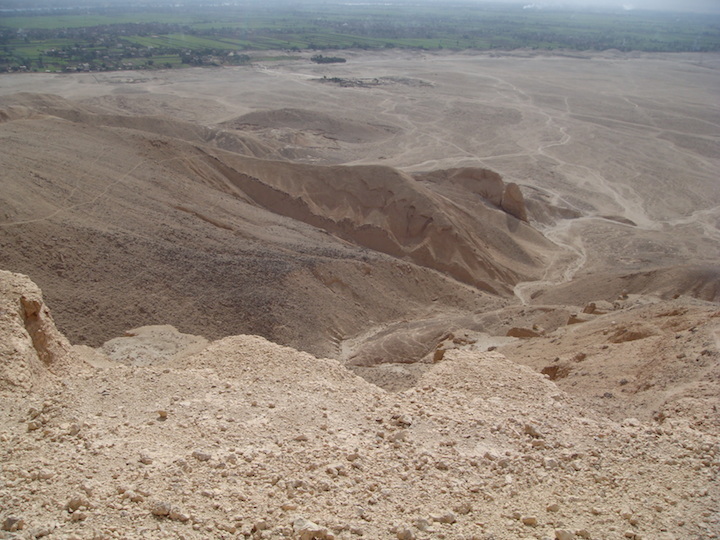 It was a wonderful adventure. 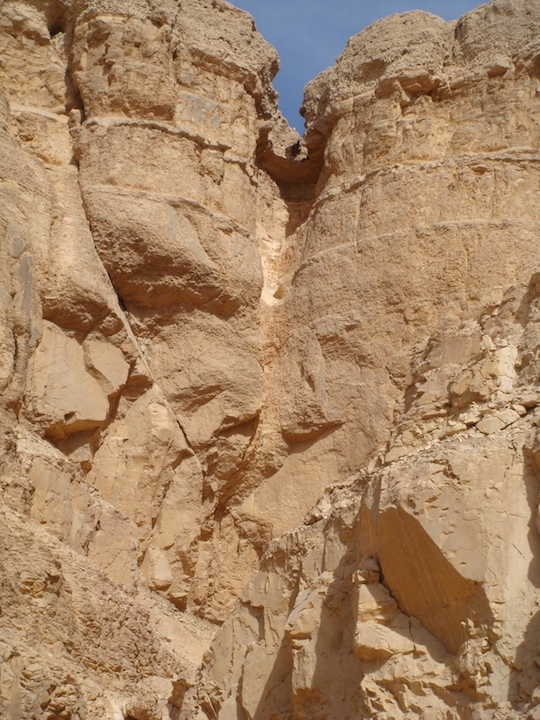 The wadi was amazing, stunning to look at and so peaceful and quiet with only the odd bird flying above. 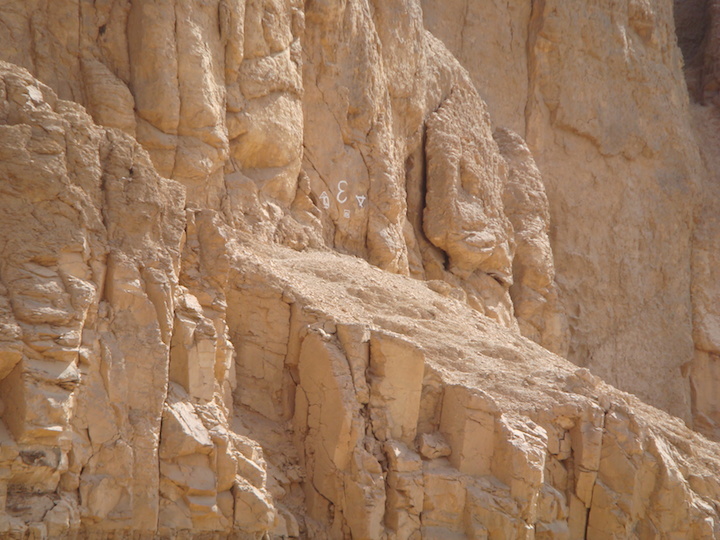 Where I thought I was looking at it from my lounge window, I was incorrect. 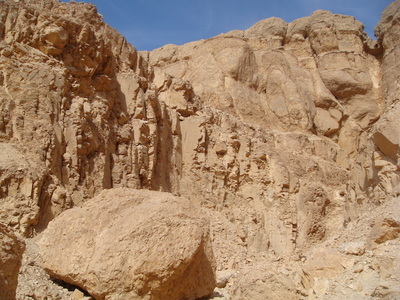 It lies behind a main mountain range and is on its own (or maybe not) at the end of the wadi. 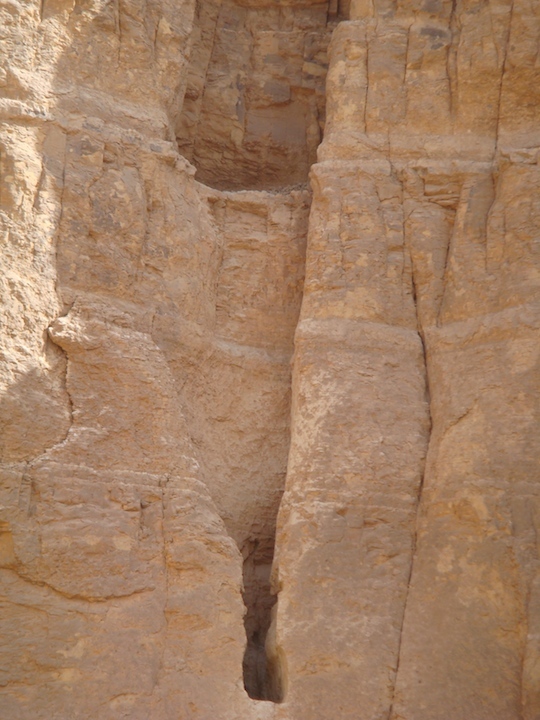 The tomb ledge is 70 Mts high from the base and a total of 112 Mts from base area to the top of the mountain. 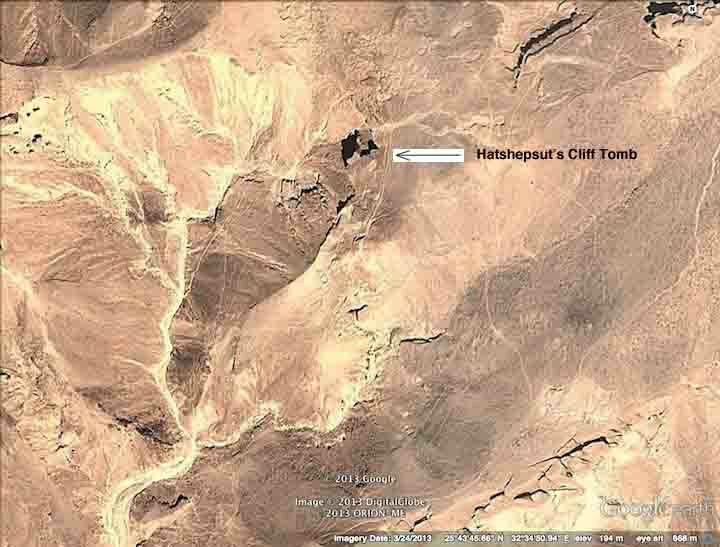 The tomb building started when Hatshepsut was the wife of Thutmose II but it was never finished, it was abandoned when she became Pharaoh (King) a sarcophagus was found in the tomb. 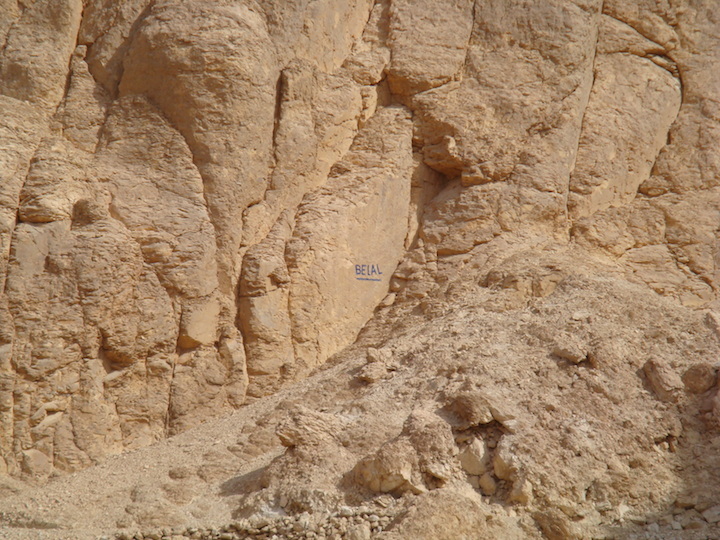 As King, she was buried in KV20 in the Kings Valley. 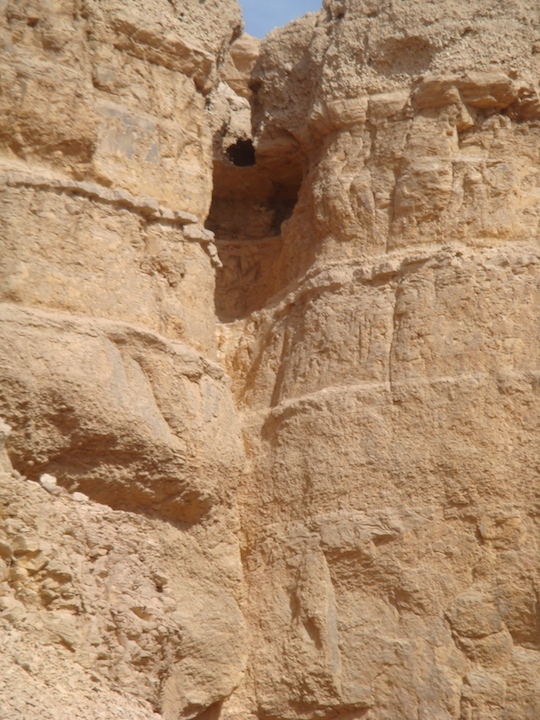 There are some other areas in the nearby rocks that look to have these tomb ledges. 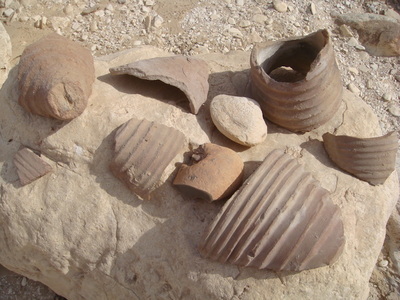 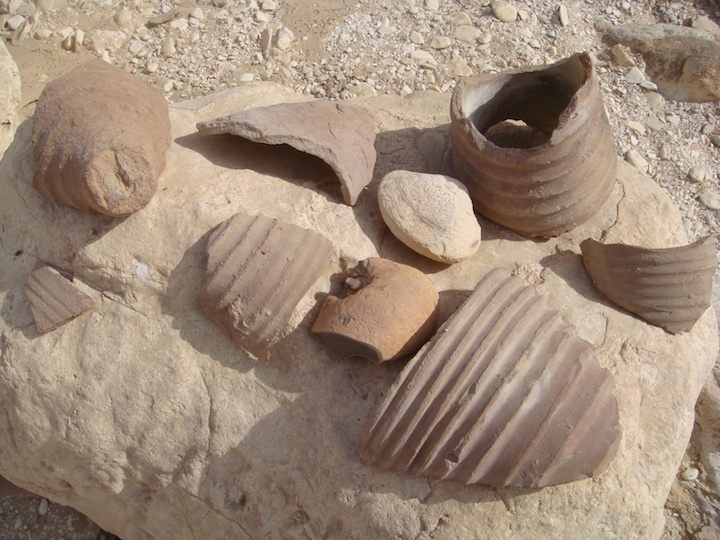 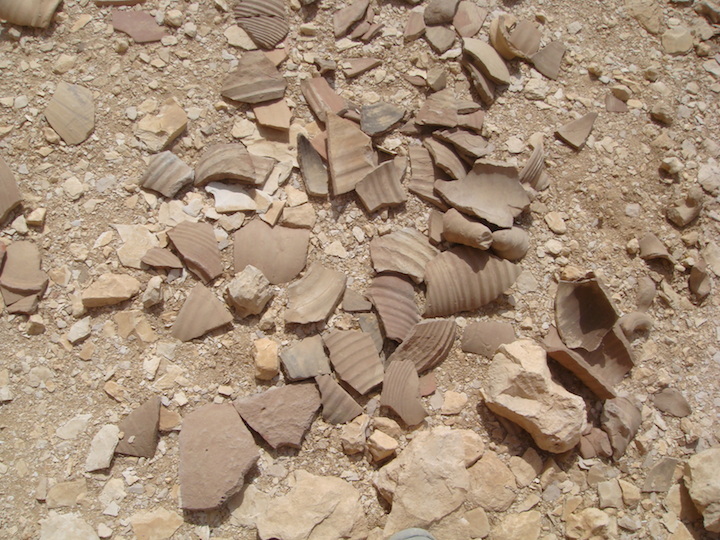 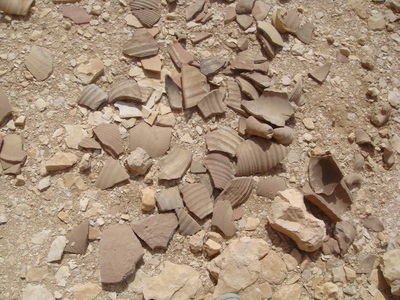 Also as I made my way through the wadi I could see the evidence of washed out pottery during flash flooding in times gone by. 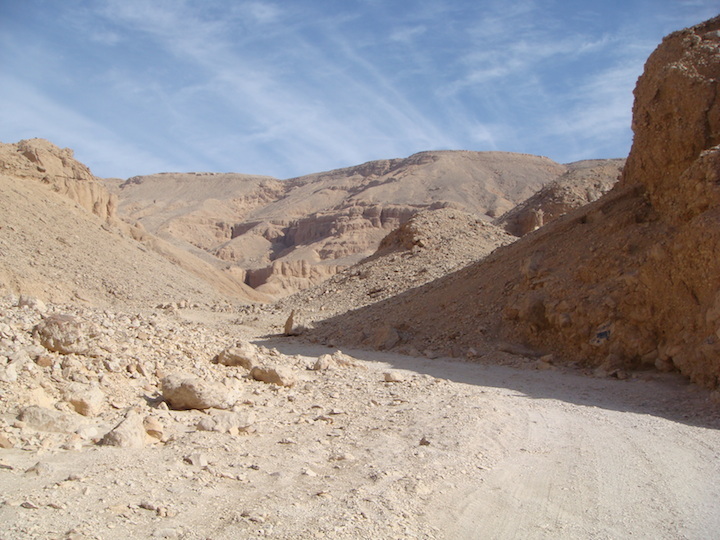 People rarely get the chance to experience such scenery unless they really get off from the beaten track. 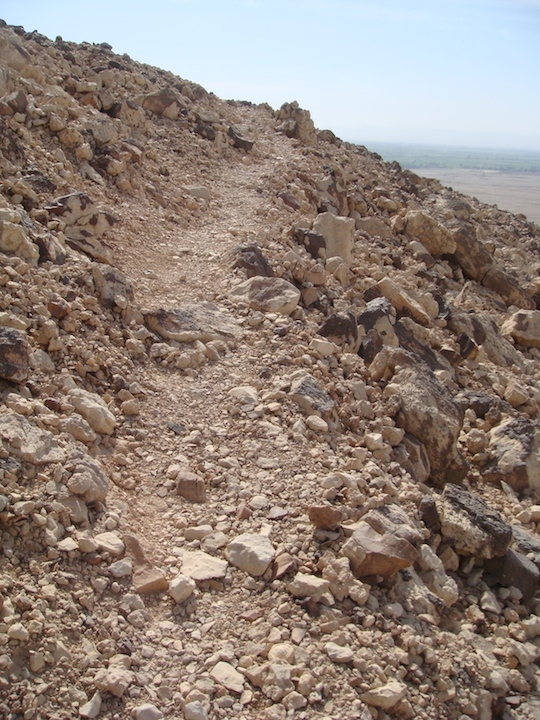 Once you do, nothing can compare to what awaits you there.